“How’s that—we do have freedom now, don’t we?” Sõrgats insisted. Translation is mediation. It is brokering. It requires immediately coming to terms with the fact that what you ultimately write will not be the original manuscript reproduced in your native tongue – not merely, and not entirely. It is an echo, a reverberation. Expanded, oftentimes amplifying certain unexpected aspects and muffling others. History is much the same when absorbed by individuals of backgrounds and cultures alien to the place, in which that particular history occurred. The immediacy is inevitably lost, but new facets may gleam like flecks in a gold pan upon its retelling. Language itself is steeped in history. During the Soviet occupation, this meant for the Estonian language not only the adoption or abandonment of words, rising and descending as itinerant jellyfish. It meant – at least in literature not commissioned and implicitly aiming to fawn over the regime – a certain recalibration of the language; the implementation of alternative, non-direct means of expression and resistance. It meant writing “between the lines”, sometimes in the form of hyper-irony, in order to honestly and accurately convey social and political criticism. To pervert the words of Dr. Ian Malcolm: Language, uh, finds a way. Irony is a tool that most Americans mildly appreciate, residents of the British Isles actively implement, and Estonians employ unconsciously. 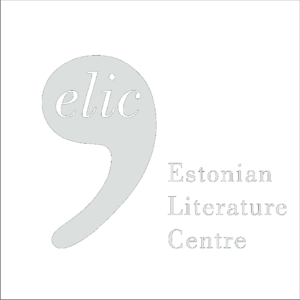 Estonian literature, especially that penned over the last 60-odd years, is oftentimes filled with it – irony wraps itself around the reader like seaweed around ankles. Why? If you can’t state something directly and could be facing a future of ushanka-clad Siberian winters for even veiled or indirect references, then embellish its opposite. True, even the classic Estonian writer A. H. Tammsaare practiced its use well before the first Red Army troops crossed the border, and wry dispositions have likely been a facet of Estonian nature since time immemorial. How can such a witch’s well of sarcasm be translated? 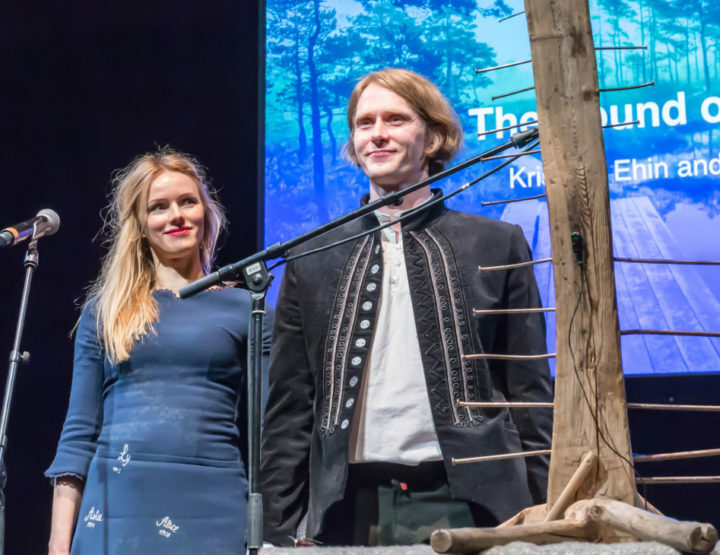 In Estonian practice, it is not merely a nuance embedded in a complex language – in it lies a sub-linguistic river of context; another language in and of itself. Language is not only grammar and syntax – it is stratified and mixed, geologically compressed. To truly grasp the substance of speech, the speaker – and the translator – must grasp its respective culture. This is also the most difficult task of a translator, and a cause of chronic sleep loss. It is impossible to inform and instruct an audience to “speak” an entire, richly multi-layered culture over the course of one work of prose while maintaining a sufficient level of interest, and no work can (or should) contain a dense roost of accommodating footnotes, either. 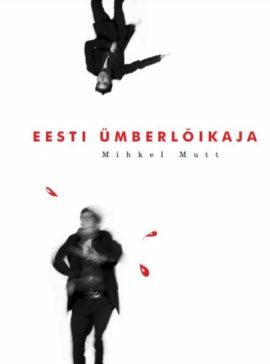 As a translator, Mihkel Mutt’s writing has stood as one of my greatest challenges and conundrums in meditating the culture of sarcasm – one, which gnaws at me even after the books have been shipped from the printers. Last summer, I received the edited manuscript of The Cavemen Chronicle from its acclaimed publisher, Dalkey Archive Press, and was asked to review the slew of corrections, proposals, and questions. In addition to minor adjustments in grammar and syntax (it’s not uncommon for fluent speakers of foreign languages to find themselves unconsciously lapsing into odd, mixed-blood structures), I began to encounter a recurrence of: “What is this supposed to mean? Why would the character do that? This seems odd – is it really in the original?” Initially, I reckoned that my wording must have been unclear or the editor was just too rushed to give the work a thorough twice-over (which wasn’t all that unlikely, given that – as a consequence of “financing deadlines” – I was also forced to review the edits unexpectedly and with a deadline more rapid than Arctic summers). But as I made my way deeper into the manuscript and found the editor repeatedly requesting that I expound on plot points and elucidate characters’ trains of thought, I surmised the problem lay not in my nor the author’s writing. Mutt’s semi-ficticious account of life behind the Iron Curtain before, during, and after the restoration of Estonia’s independence hardly touches upon the deficits and the censorship, the repression and the hardships so present in other accounts of life under the Soviet regime. Rather, he observes and embodies the absurdities in mentality that these conditions bred. And in recording these phenomena that are so exotic to the Western world, Mutt does not just bluntly gesture towards the situations and the mind-sets – he re-lives the era(s) through a prism of sarcasm and irony; through the language of the time. To illustrate: in one section of The Cavemen Chronicle, the narrator – Juhan Raudtuvi (an unusual name that translates directly to “John Irondove”; yet another playful quirk of Mutt’s humour) – begins to question the credibility of his own memory. He recognises that his recollections of certain events or people and the connections his brain draws between them might, in fact, simply be slight unconscious adjustments meant to tailor the story to his ultimate point. After giving an account of a particular evening, Raudtuvi steps back to briefly review the story, and realises that he inadvertently confused most of the details. He remembers that the youth performance given during a classic’s birthday celebration held at the Writers’ House, before which the performers changed into light costumes behind a curtain in the auditorium, was actually on a ferry to Saaremaa, where “many people are naked […] in summer.” Cue the editor’s red flag! Are they really? The narrator then comes to realise that his story’s climax had been from another time (or other times) entirely – specifically, someone drunkenly careening out of the Estonian intellectuals’ stomping grounds (The Cave) and into a snowbank, all the while shouting anti-Russian slogans. Raudtuvi rhetorically concludes: “But where did the pyramids come from? Was it really from the Discovery Channel?” The irony is thick enough to cut with a spoon – however, many a Western reader’s brain may have already short-circuited by this point. “What pyramids?” the mystified editor asked. Is this “third language”, one so culturally embedded, ultimately a translatable one? More importantly – should it even be translated (or, more accurately, interpreted)? 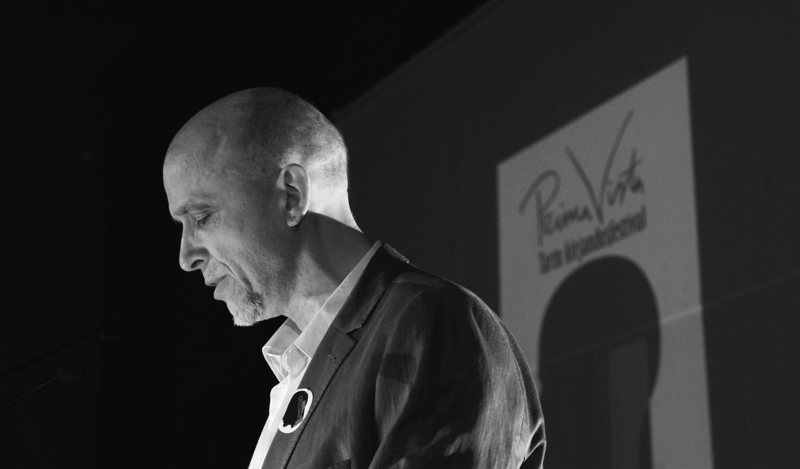 A perennial question for translators is how much of the inherent culture nestled within words and phrases, within tone and structure, can be conveyed while retaining readability and unaided comprehension. Yet in my personal opinion, literature in translation should also enrich the target language and culture. That is the point of translating literature and poetry in the first place – the belief that the text contains something that could be of interest to foreign readers; something that might lead to new, hybridized ideas and an enriched understanding of the greater world. Naturally, the translator asks: Is this all futile? Can the author’s intention and vehicle be kept more or less intact without alienating the reader, or can the reader be gently guided to recognize and appreciate what at first seems so foreign? Practice, I would say, is the only key to fluency in any language. And for readers, this also applies to literature – and irony – in translation. Adam Cullen (1986) is a poet and a translator of Estonian literature and poetry into English. 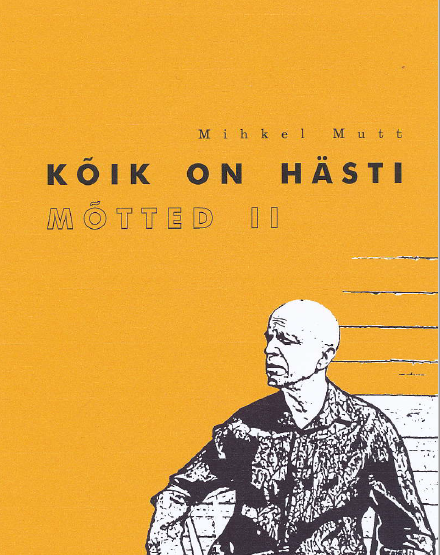 He has translated prose by Tõnu Õnnepalu, Mihkel Mutt, Indrek Hargla, Armin Kõomägi and Rein Raud, among others. 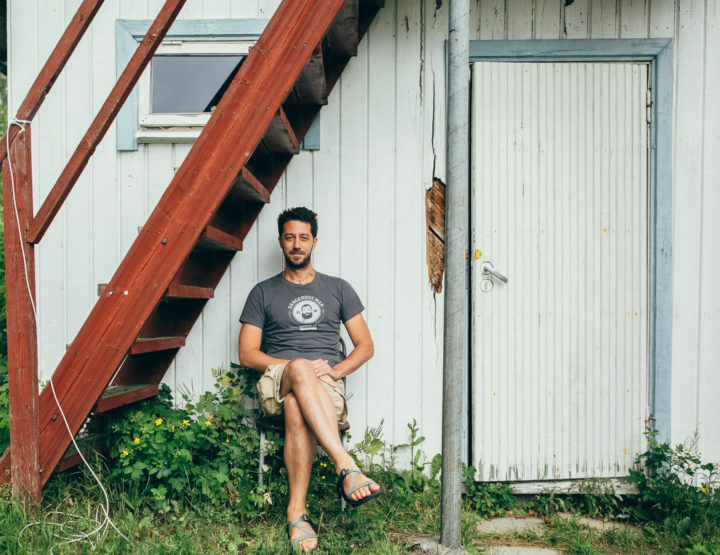 Originally from Minnesota, he now lives in Tallinn.